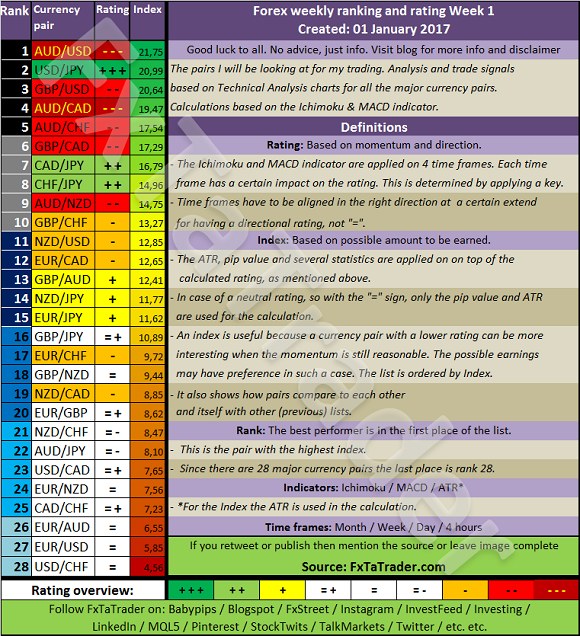 The Top 10 of the Ranking and Rating list for the coming week shows the following stronger currencies being well represented for going long: USD(3X) followed by the CHF(3X) with the CAD(3X). The weaker currencies are the AUD(4X) followed by the JPY(3X) with the GBP(3X). Some of the pairs in the Top 10 comply for a longer term trade based on the Technical Analysis (TA) of the Daily and Weekly chart. 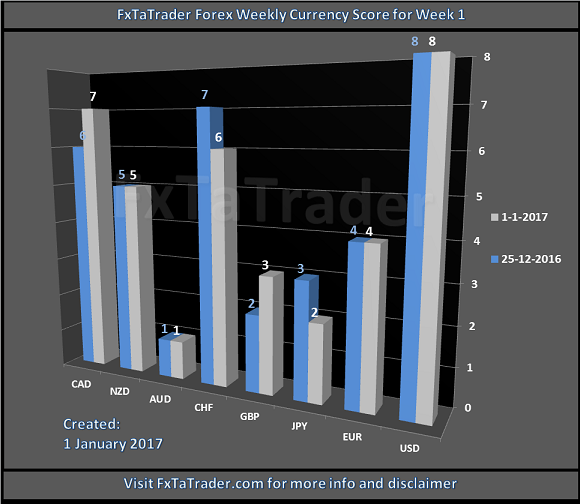 For the coming week these seem to be: AUD/USD, GBP/USD, AUD/CAD and AUD/NZD. For more details read both of my articles where the relevant Charts and Tables are provided.